Sharing a border with China, Pakistan has projects that are among the most developed of the Belt and Road Initiative. 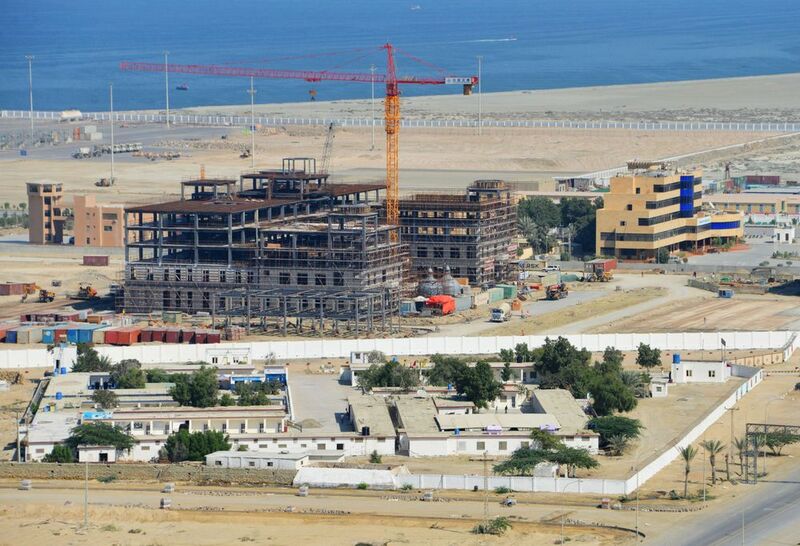 The Gwadar deep sea port and a 3,000 kilometer-long corridor of roads and railways links China with the Arabian Sea. Transshipment from the port has begun, giving China’s western Xinjiang province closer access to a port than Beijing. It’s located at the mouth of the Persian Gulf, just outside the Straits of Hormuz, near shipping routes that accommodate more than 17 million barrels of oil per day and a large quantity of bulk, break-bulk and containerized cargo. With China expected to increase oil imports from the Middle East, Gwadar is seen as a potential trade route. China has a plan to connect Southeast Asian countries with the southwest region of Yunnan through a series of high-speed railways. There are three routes planned: a central one that runs through Laos, Thailand and Malaysia to reach Singapore; a western route through Myanmar; and an eastern one through Vietnam and Cambodia. Projects are at various stages of development, and represents some of the most important and high impact of China’s rail investments, said Small. 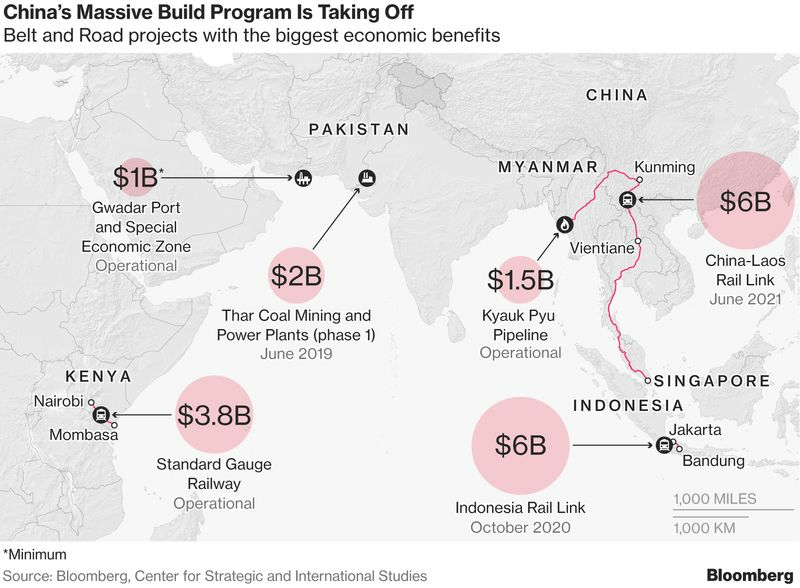 The $6 billion Jakarta-Bandung project in Indonesia is a flagship of President Joko Widodo’s infrastructure program and expected to cut the travel time between the two traffic-clogged cities to 40 minutes, from about three hours by car. But the project has stalled because of disputes over land clearance. Pakistan is seeking to extract coal in the Thar desert at one of the world’s biggest known deposits of lignite, a lower-grade brown version of the fuel. The project includes the building of power plants to expand electricity capacity in a country that faces chronic shortages. The first phase, which will add 660 megawatts of power, will be completed next year.